May Brigid bless the house wherein you dwell. Bless every fireside, every wall and door. Bless every heart that beats beneath its roof.  Bless every hand that toils to bring it joy. Bless every foot that walks its portals through. 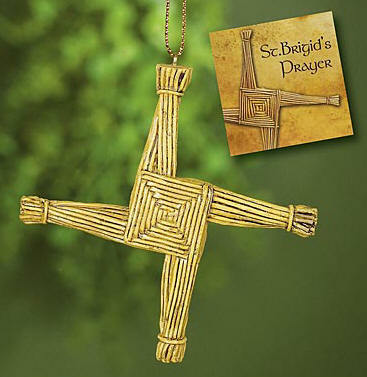 May Brigid bless the house that shelters you. 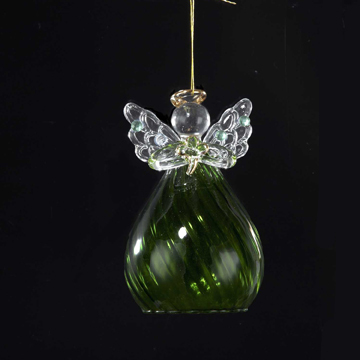 St. Brigid, patroness of Ireland, founded its first women's religious community. 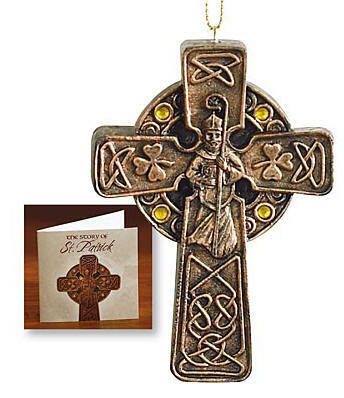 A cross made of rushes is her special emblem and is thought to ward away evil from the house that displays it. 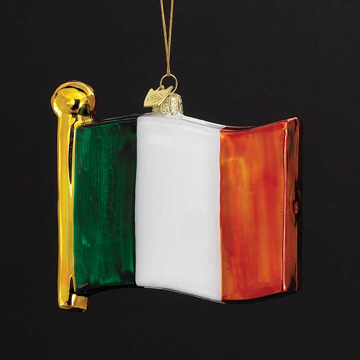 This traditional Irish design represents the eternal bond of friendship, loyalty and love. The heart symbolizes love, charity and compassion. 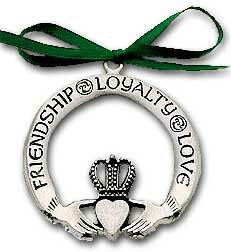 The hands of friendship are clasped around the heart in a gesture of generous giving. 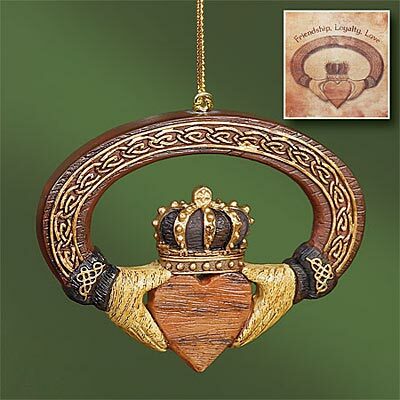 The crown signifies loyalty -- to family, friends, faith and heritage. May friendship, love and loyalty bless your life abundantly! 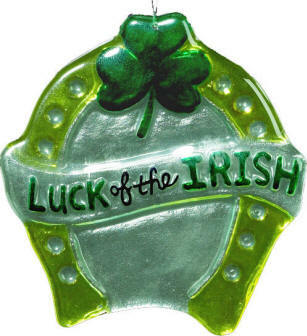 St. Patrick lived from about 389-461. At age 16, he was captured and taken to Ireland as a slave. He escaped after six years, became a priest, then a bishop, and finally returned to Ireland as a missionary. 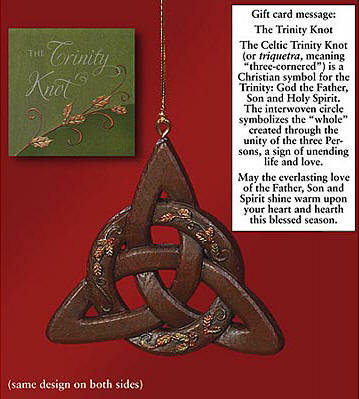 According to legend, Patrick used a shamrock to teach the Trinity. His feast is celebrated on March 17. 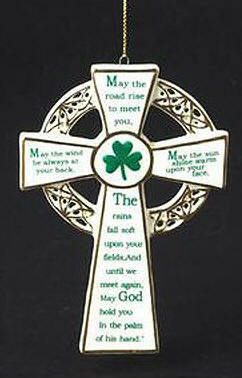 May St. Patrick e'er guide you, stand beside you and instill God's love inside you.